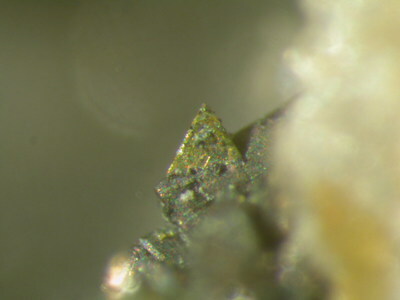 257 valid minerals. 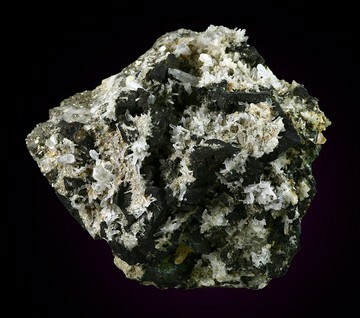 13 (TL) - type locality of valid minerals. 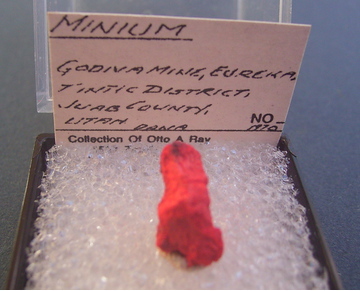 1 (FRL) - first recorded locality of unapproved mineral/variety/etc. 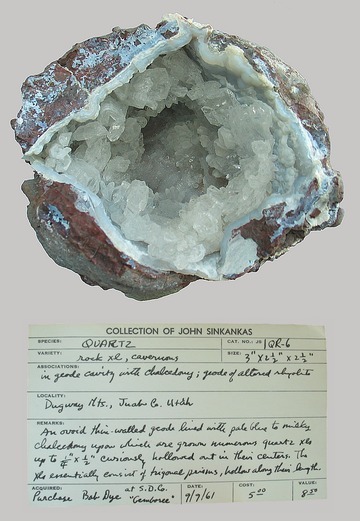 Reference: Palache, C., Berman, H., & Frondel, C. (1951), The System of Mineralogy of James Dwight Dana and Edward Salisbury Dana, Yale University 1837-1892, Volume II: 72; UGMS Bull 117 Minerals and Mineral Localities of Utah. 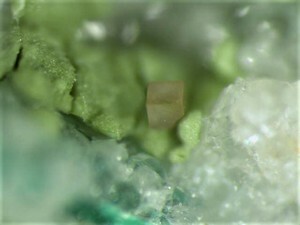 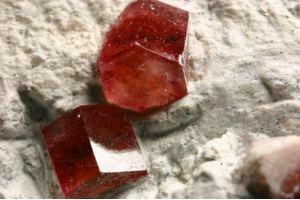 ⓘ Beryl var: Morganite ? 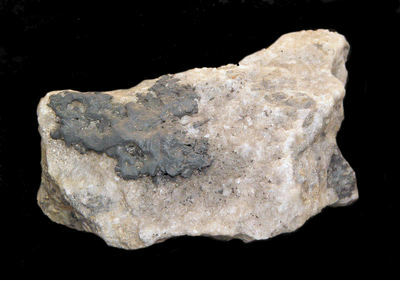 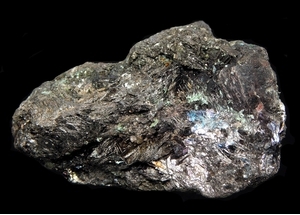 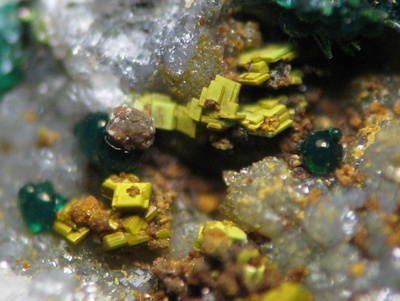 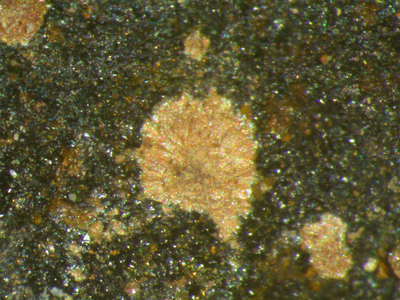 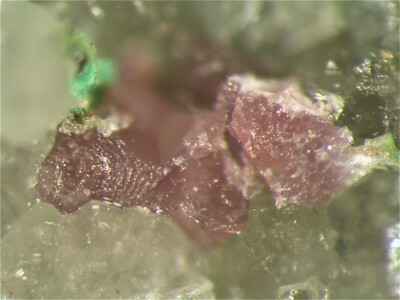 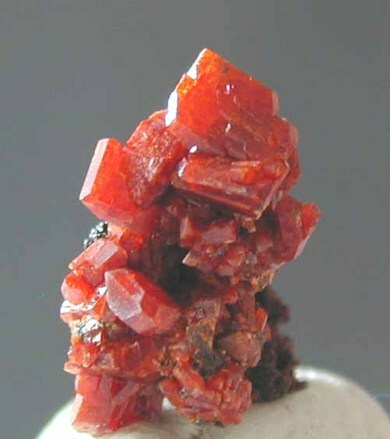 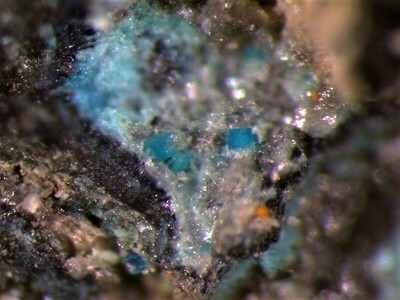 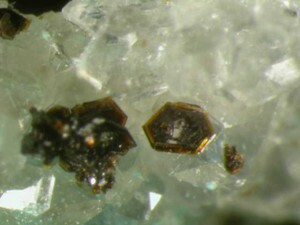 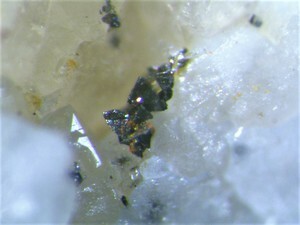 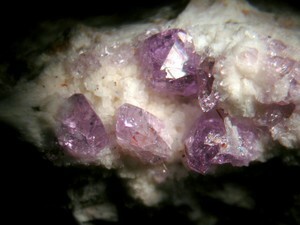 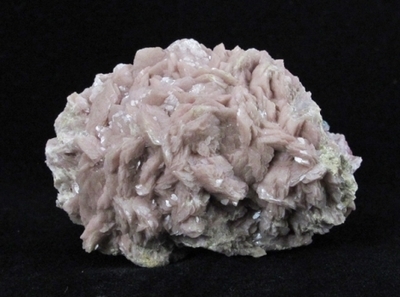 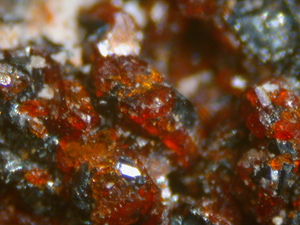 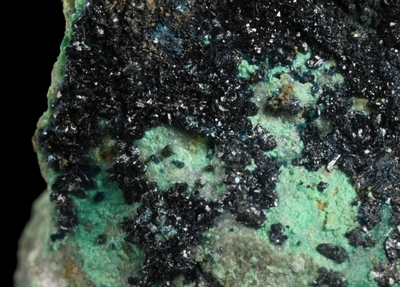 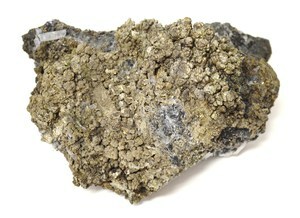 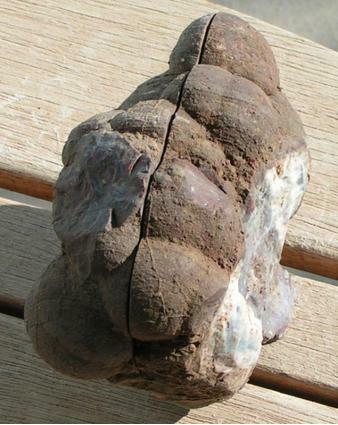 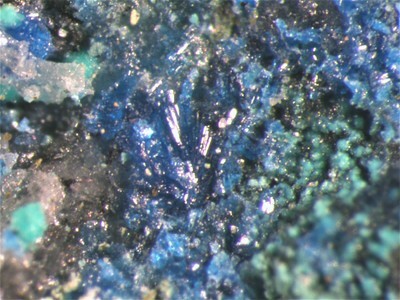 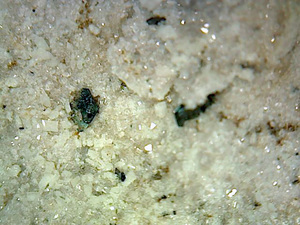 Reference: Rocks & Minerals: 68(6): 381-393. 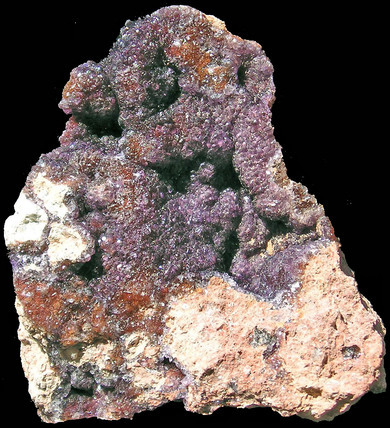 Reference: UGMS Bull 117 Minerals and Mineral Localities of Utah; U.S. Geological Survey, 2005, Mineral Resources Data System: U.S. Geological Survey, Reston, Virginia. 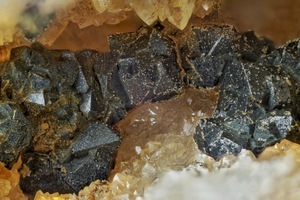 Reference: https://finance.yahoo.com/news/troymet-discovers-high-grade-gold-130000026.html; Missen, O.P., Kampf, A.R., Mills, S.J., Housley, R.M., Spratt, J., Welch, M.D., Coolbaugh, M.F., Marty, J., Chorazewicz, M., Ferraris, C. (2019): The crystal structures of the mixed-valence tellurium oxysalts tlapallite, (Ca,Pb)3CaCu6[Te4+3Te6+O12]2(Te4+O3)2(SO4)2·3H2O, and carlfriesite, CaTe4+2Te6+O8. 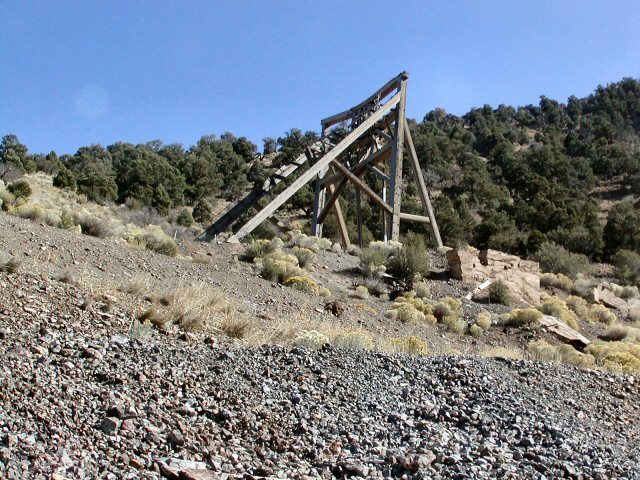 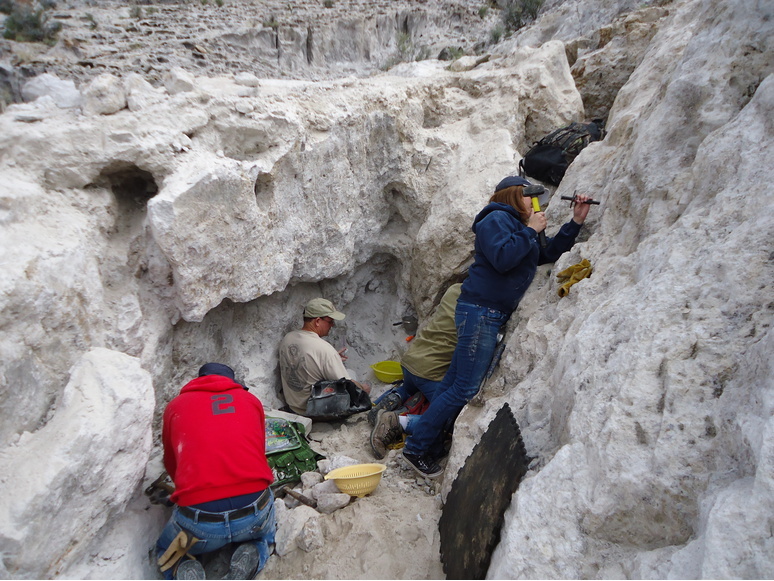 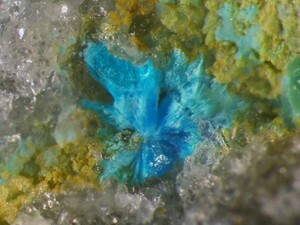 Mineralogical Magazine, 83, (in press). 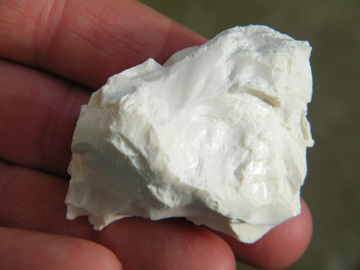 Reference: Kampf, A.R., Housley, R.M., Marty, J. 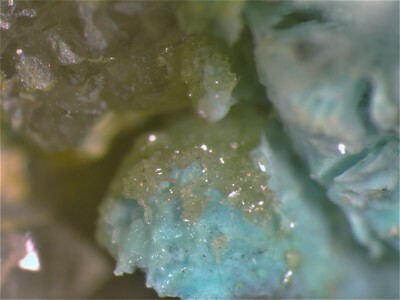 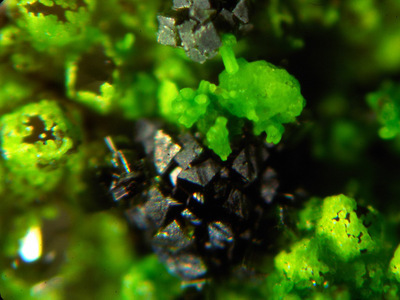 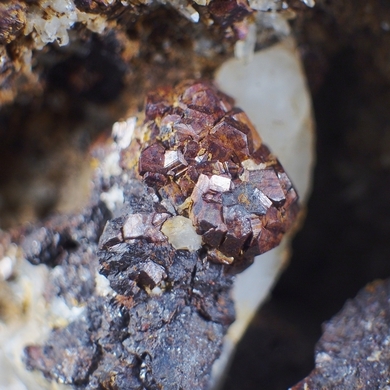 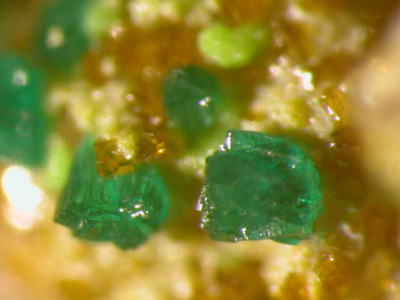 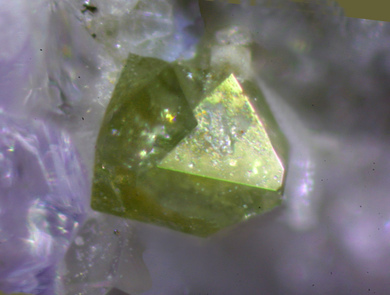 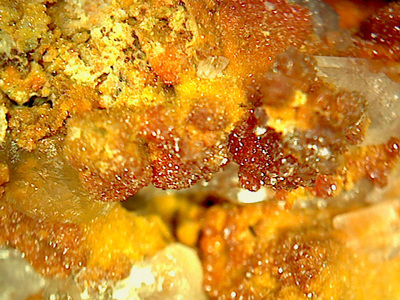 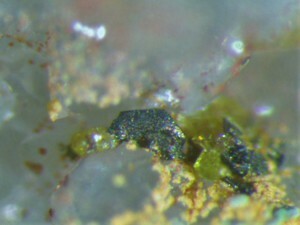 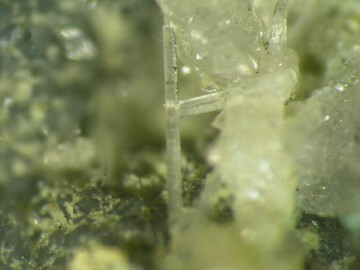 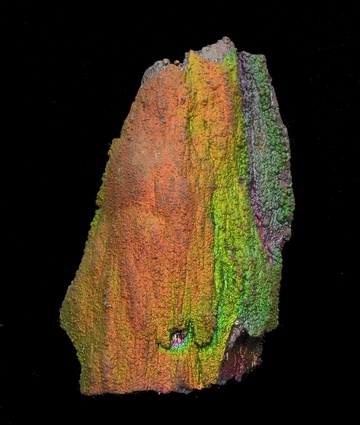 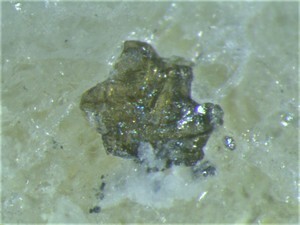 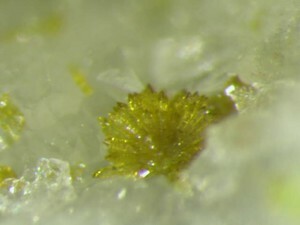 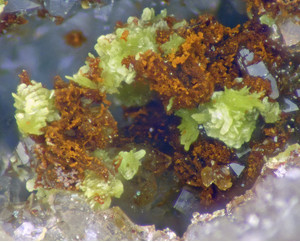 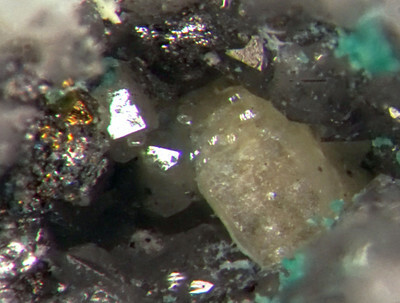 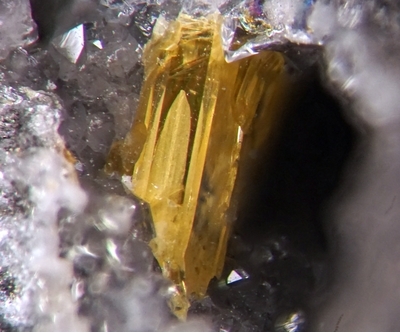 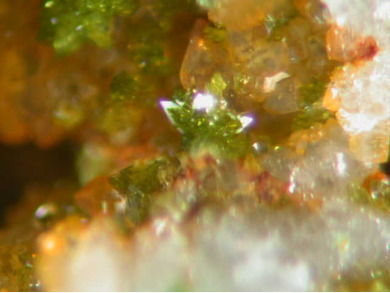 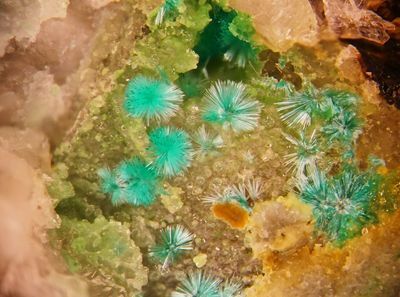 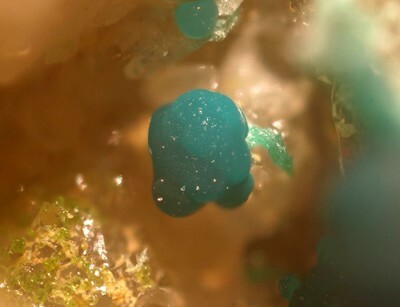 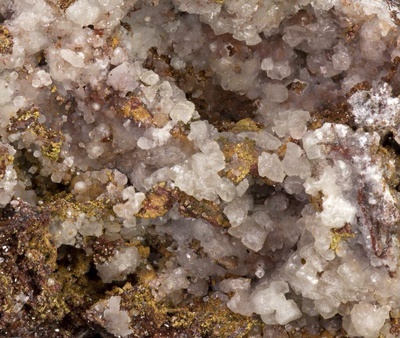 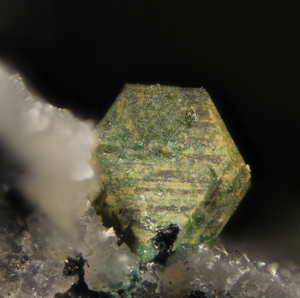 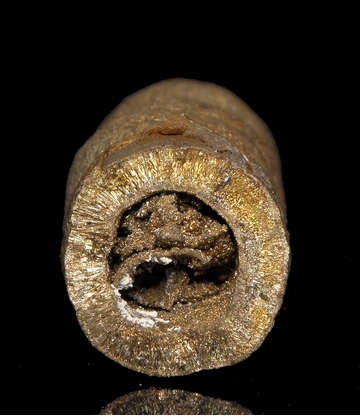 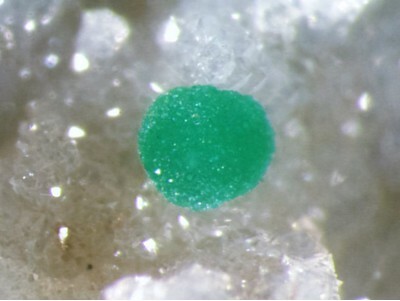 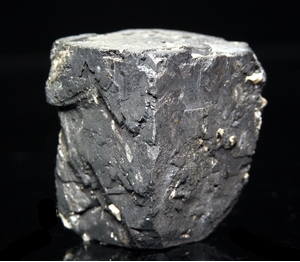 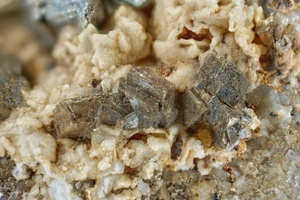 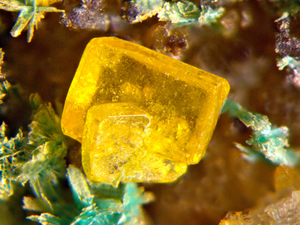 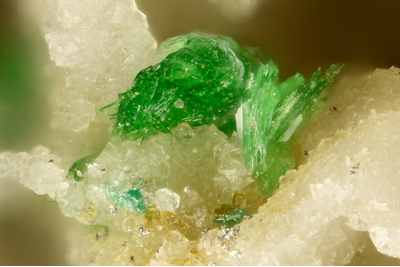 (2017): Dagenaisite, A New Zinc Tellurate From the Gold Chain Mine, Tintic, Utah, U.S.A. Canadian Mineralogist, 55, 867-873. 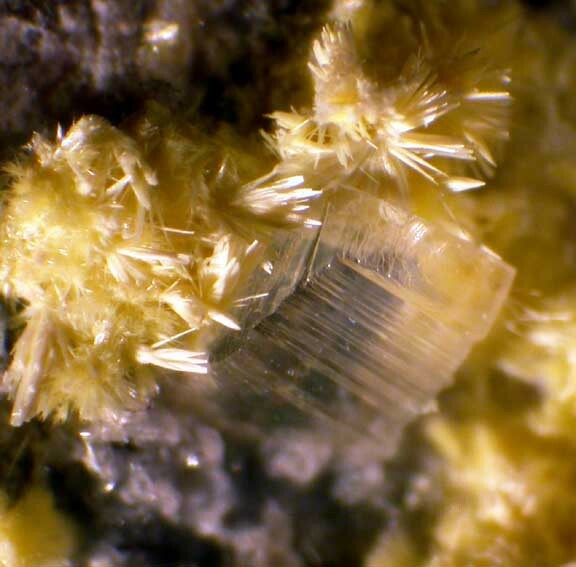 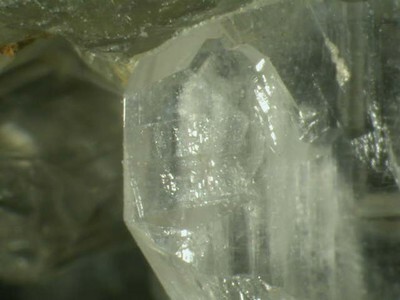 Description: Occurs in cavities in a quartz-baryte aggregate. 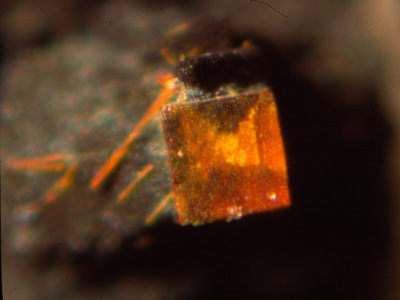 Reference: Loughlin and Schaller (1917) American Journal of Science: 43: 69; American Mineralogist (1974): 59: 41; American Mineralogist (1980): 65: 953; Palache, C., Berman, H., & Frondel, C. (1951), The System of Mineralogy of James Dwight Dana and Edward Salisbury Dana, Yale University 1837-1892, Volume II: 836. 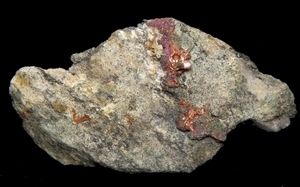 Reference: Kampf, A.R., Housley, R.M. 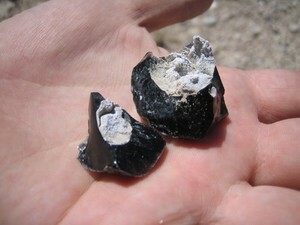 and Marty, J. 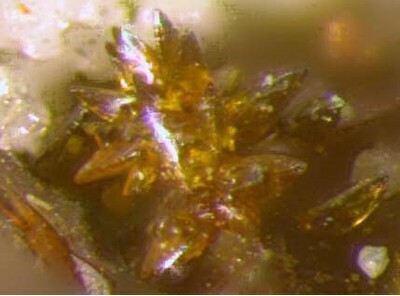 (2017) Dagenaisite, IMA 2017-017. 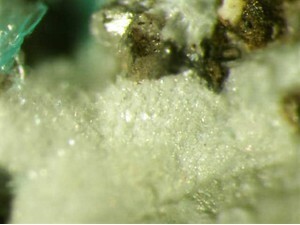 CNMNC Newsletter No. 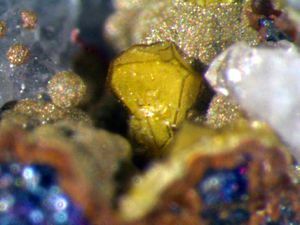 37, June 2017, page 742; Mineralogical Magazine, 81, 737–742; Kampf, A.R., Housley, R.M., Marty, J. 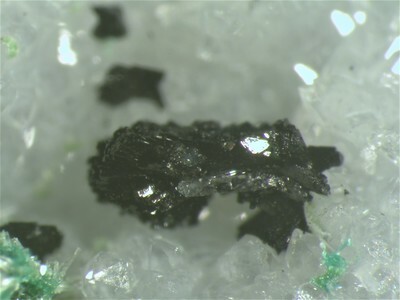 (2017): Dagenaisite, A New Zinc Tellurate From the Gold Chain Mine, Tintic, Utah, U.S.A. Canadian Mineralogist, 55, 867-873. 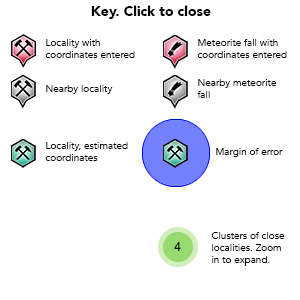 Localities: Reported from at least 91 localities in this region. 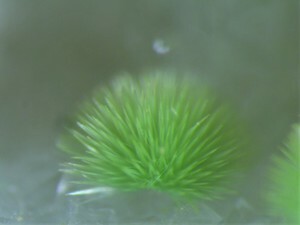 Habit: Twinned monoclinic plates forming spheres. 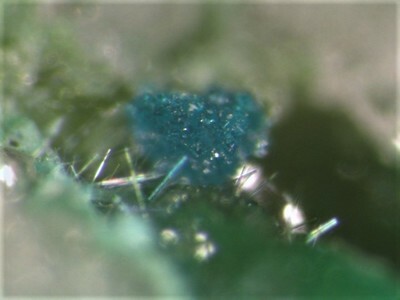 Colour: Ligth blue to deep blue green. 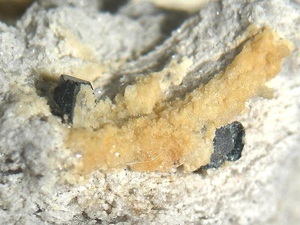 Reference: Pekov I.V., Chukanov N.V., Zadov A.E., Roberts A.C., Jensen M.C., Zubkova N.V., Nikischer A.J. 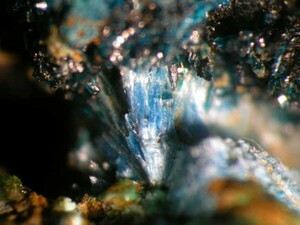 (2010) Eurekadumpite, (Cu,Zn)16(TeO3)2(AsO4)3Cl(OH)18·7H2O, a new supergene mineral // Zapiski RMO, in press. 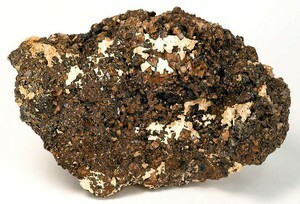 Reference: Kattelman, D. F. (1968). 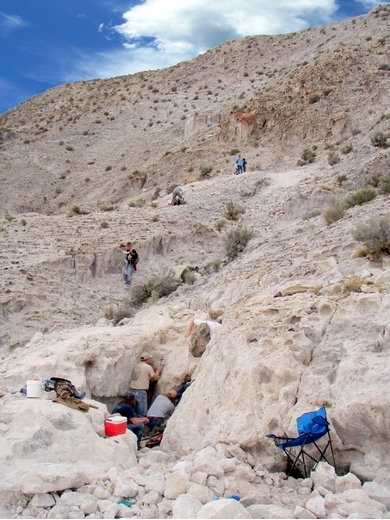 Geology of the Desert Mountain Intrusives Juab County, Utah. GEOLOGY STUDIES, 85. 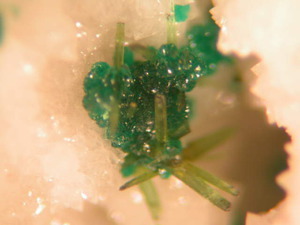 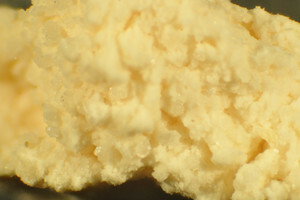 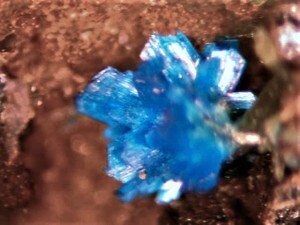 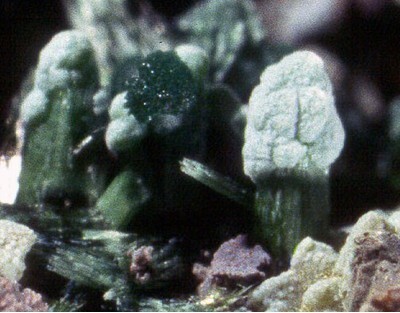 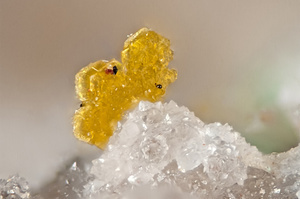 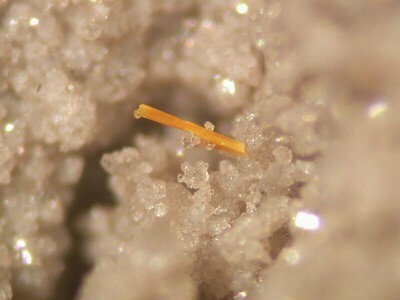 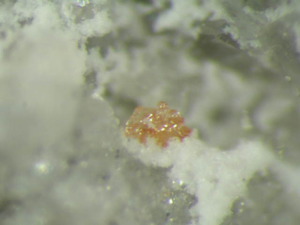 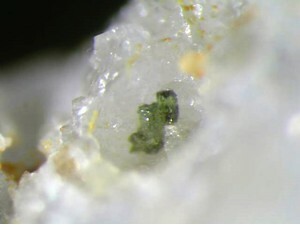 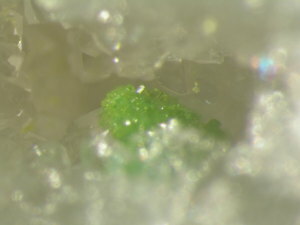 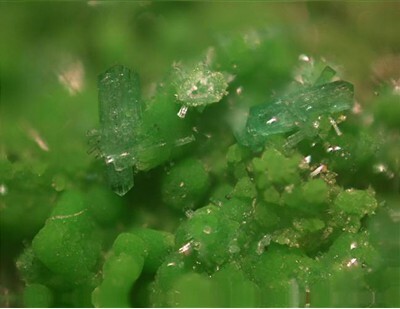 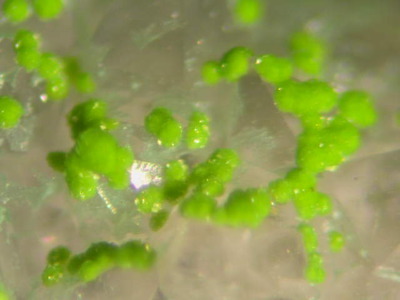 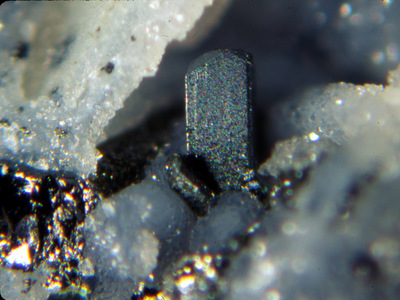 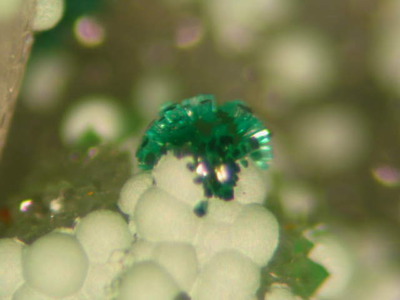 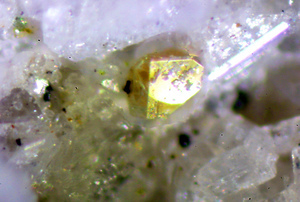 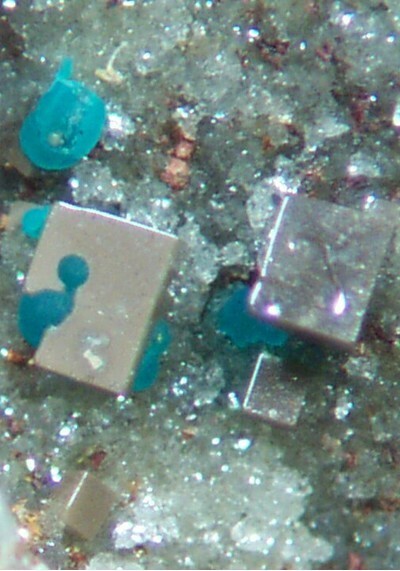 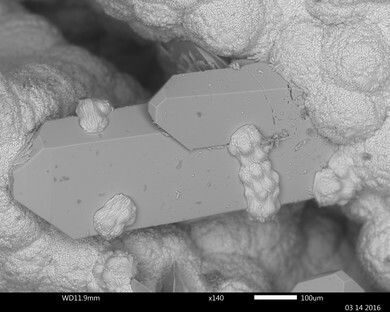 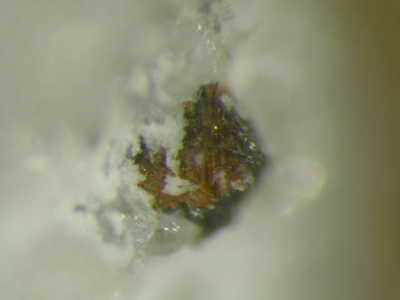 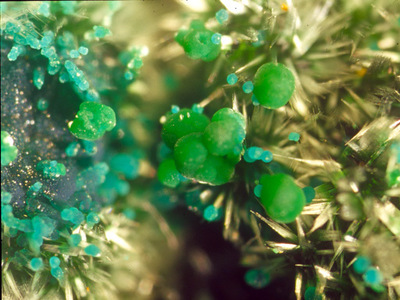 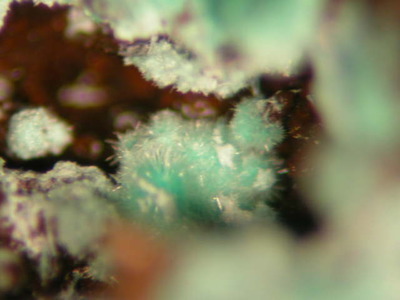 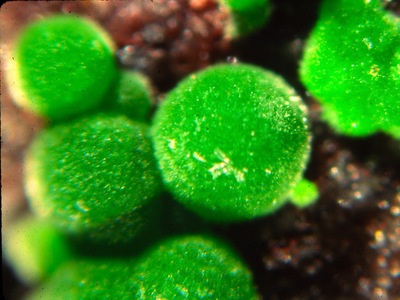 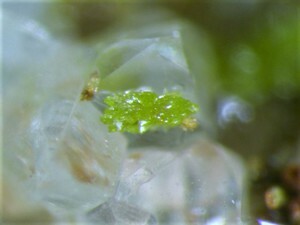 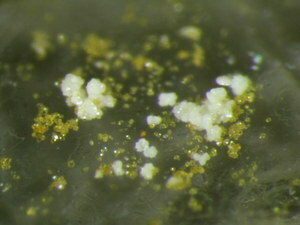 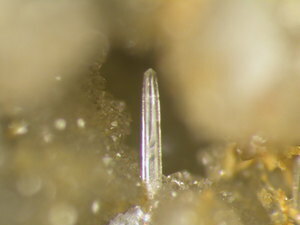 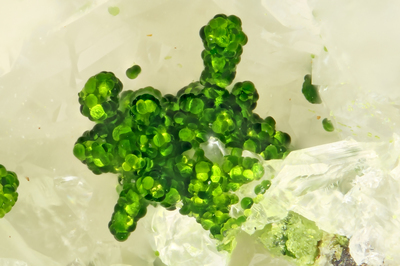 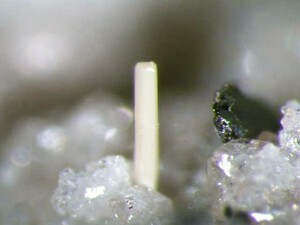 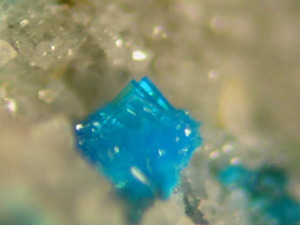 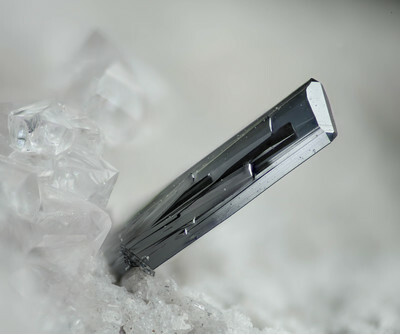 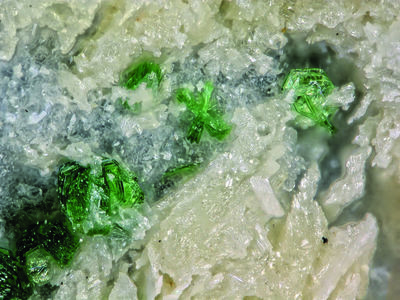 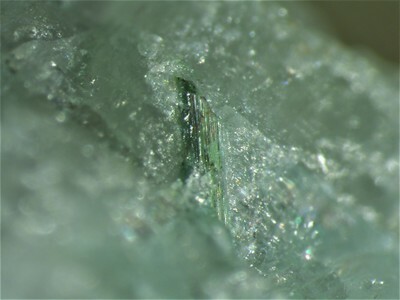 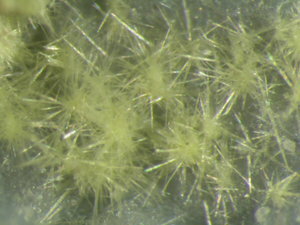 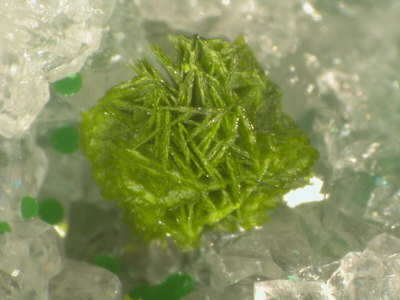 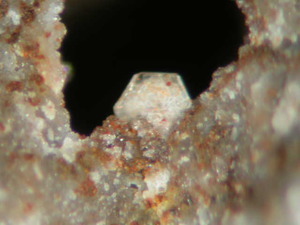 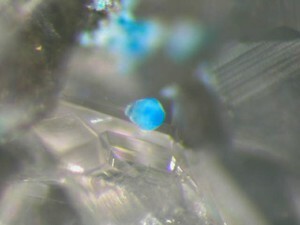 Habit: Extremely small monoclinic crystals. 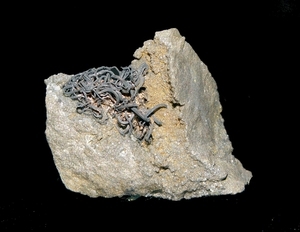 Reference: ROBERTS, A.C., GRICE, J.D., CRIDDLE, A.J., JENSEN, M.C. 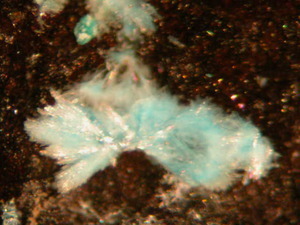 HARRIS, D.C. & MOFFATT, E.A. 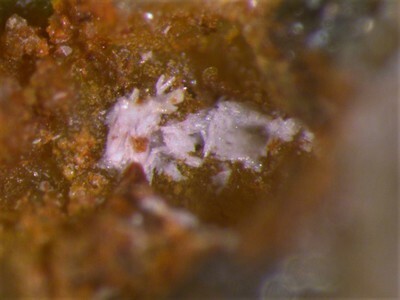 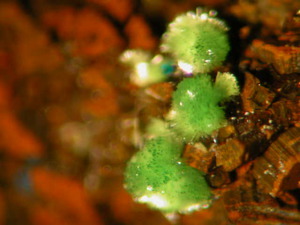 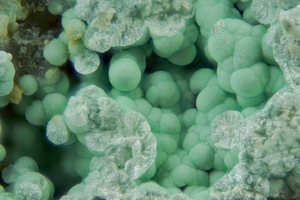 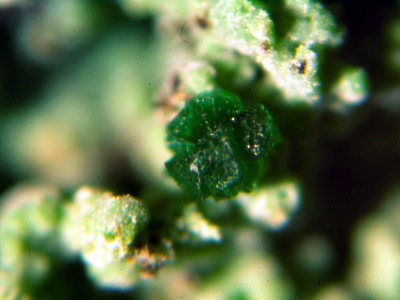 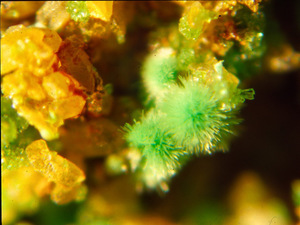 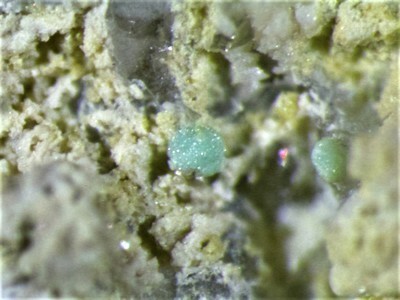 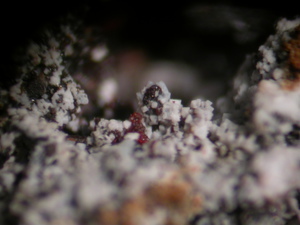 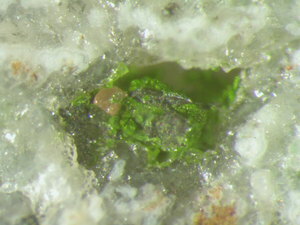 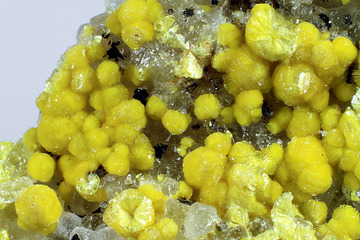 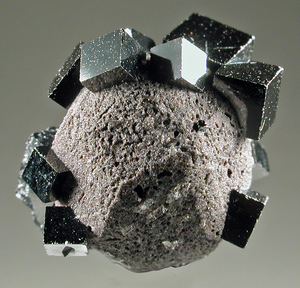 (1995): Frankhawthorneite, Cu2Te6+O4(OH)2, a new mineral species from the Centennial Eureka mine, Tintic District, Juab Co., Utah, USA. 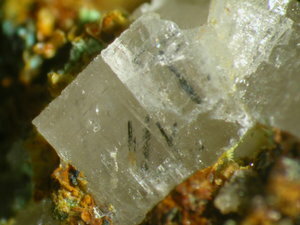 Canadian Mineralogist 33, 641-647. 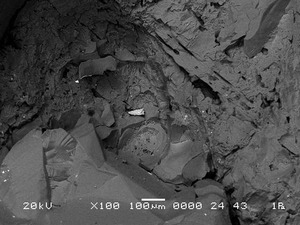 Reference: Dana 6:1092; Dana 7:II:579. 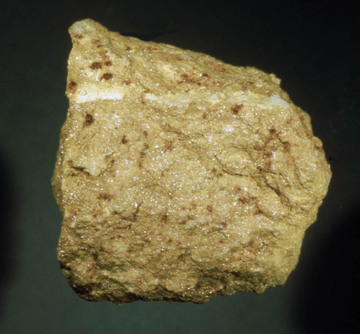 Reference: Roberts, A. C., Ercit, T. S., & Cureton, F. F. (1994). 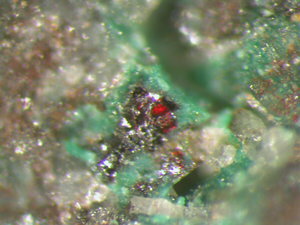 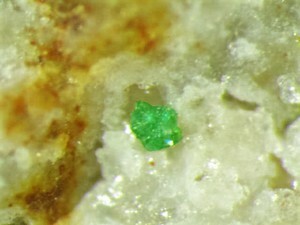 Mcalpineite, Cu3TeO6. 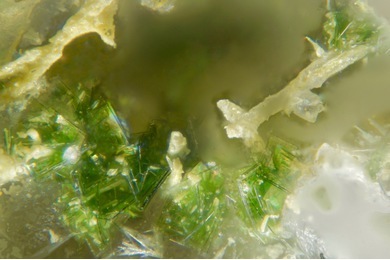 H20, from the McAlpine mine, Tuolumne County, California, and from the Centennial Eureka mine, Juab County, Utah I. Mineralogical Magazine, 58, 417-424. 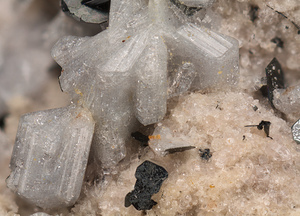 Reference: Dana 6:1092 & A3:45; Palache, C., Berman, H., & Frondel, C. (1951), The System of Mineralogy of James Dwight Dana and Edward Salisbury Dana, Yale University 1837-1892, Volume II::567; Encyclopedia of Minerals, 2nd ed: 671. 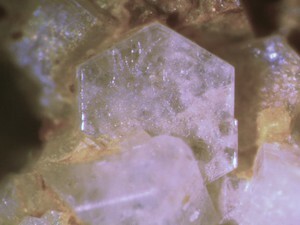 Habit: Monoclinic, pseudo rhombic crystals. 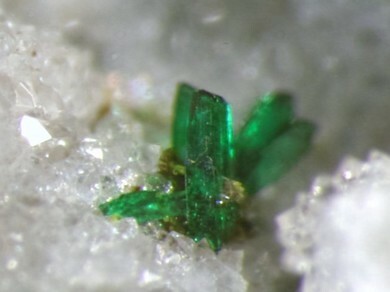 Colour: Dichroic green to blue green. 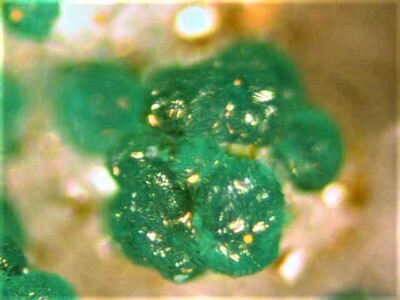 Reference: Dana 6:1092 & A3:45; Dana 7:II:567 & Ency. 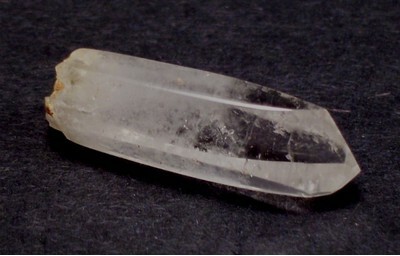 of Mins., 2nd Ed:671. 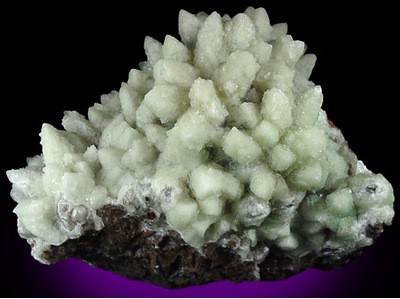 Localities: Reported from at least 53 localities in this region. 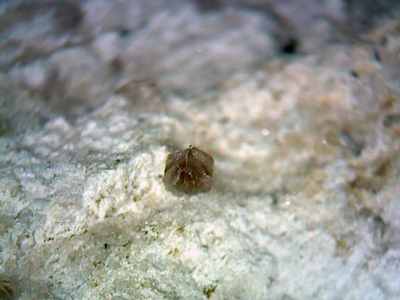 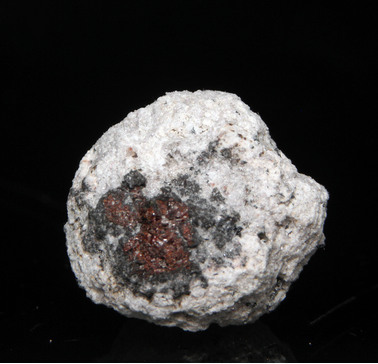 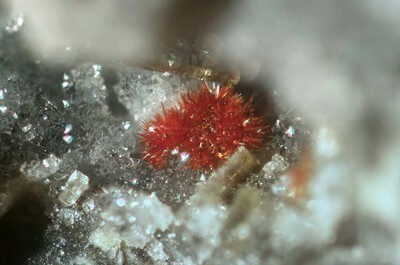 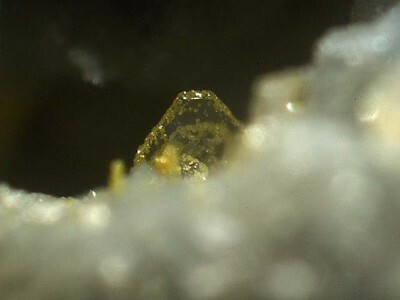 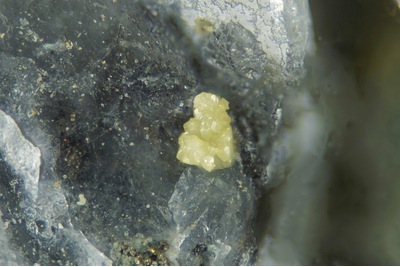 Description: Personal communication from Forrest Cureton and others suggest that th eboltwoodite from this locality is sodium dominant, but no referenced chemical analyses known. 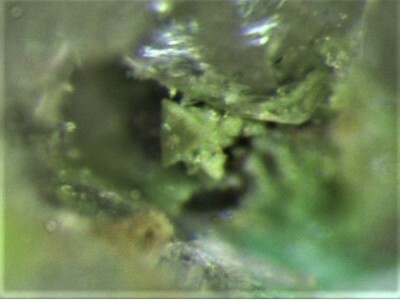 Reference: Dana, E.S. 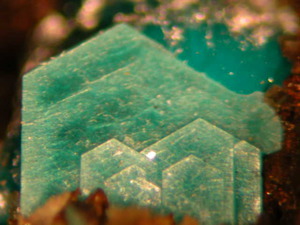 (1892) System of Mineralogy, 6th. 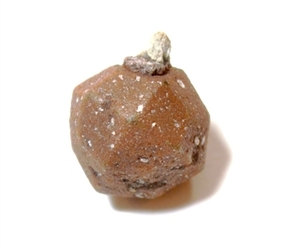 Edition, New York: 1092; Dana 6, App. 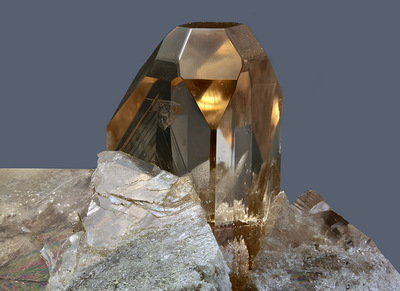 3 (1915) by W.E. 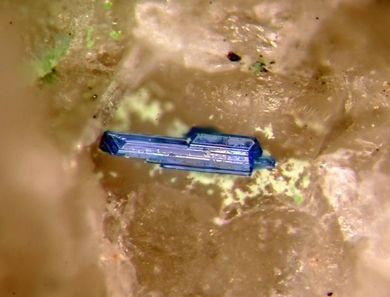 Ford: 45; Palache, C., Berman, H., & Frondel, C. (1951), The System of Mineralogy of James Dwight Dana and Edward Salisbury Dana, Yale University 1837-1892, Volume II: 567; Encyclopedia of Minerals, 2nd Ed: 671. 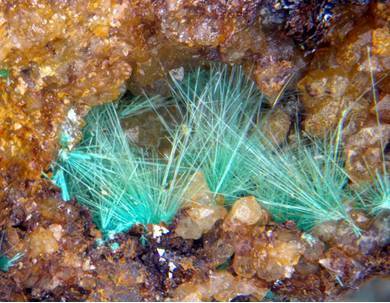 Reference: American Mineralogist (1969): 54: 1726-1728. 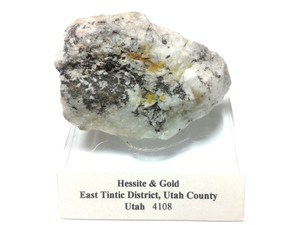 Localities: Reported from at least 58 localities in this region. 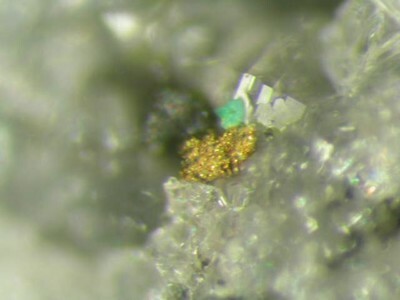 Reference: XRD analyzed by Tony Kampf. 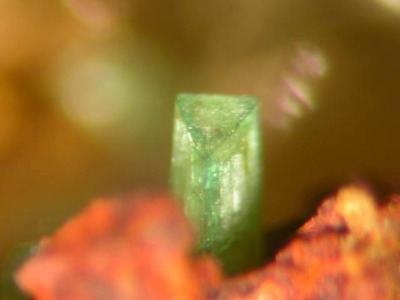 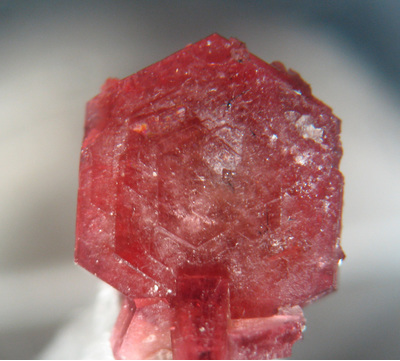 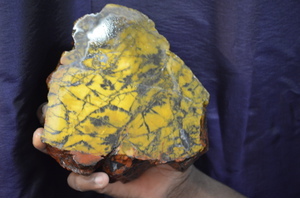 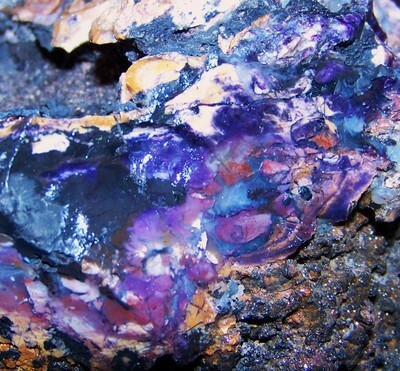 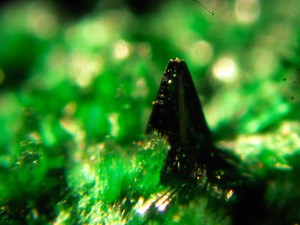 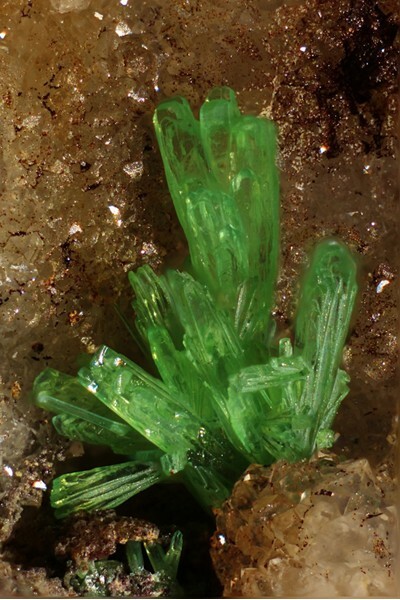 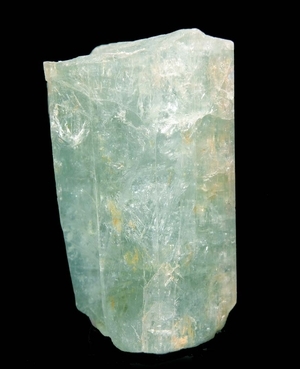 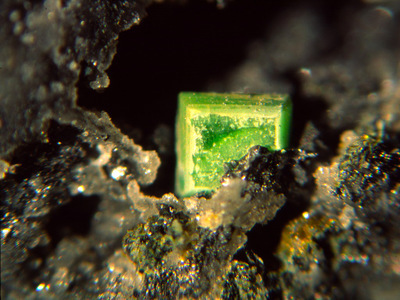 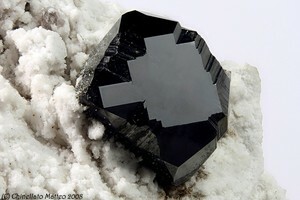 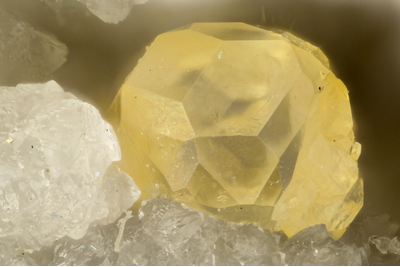 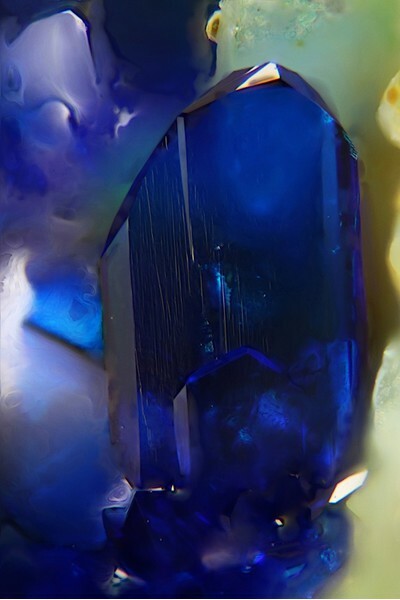 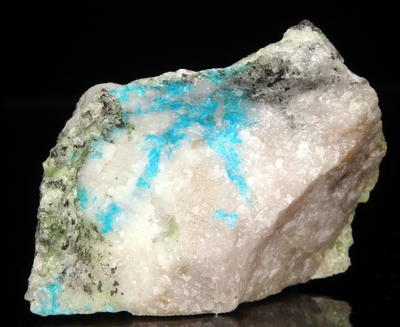 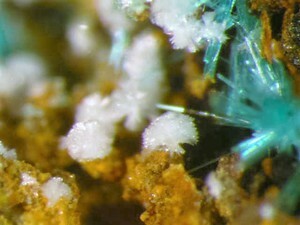 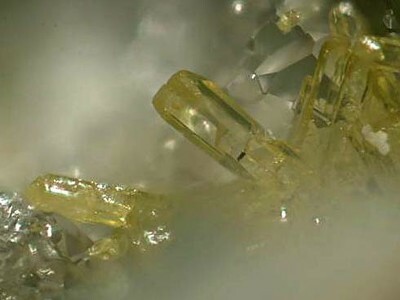 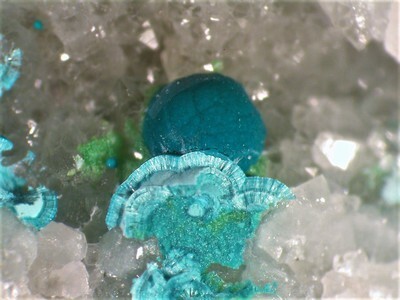 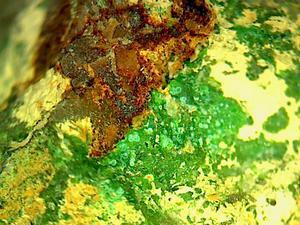 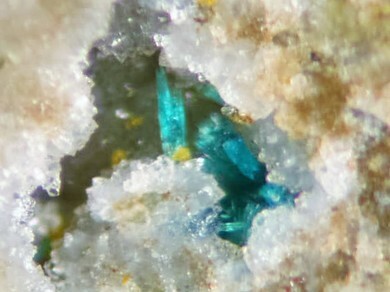 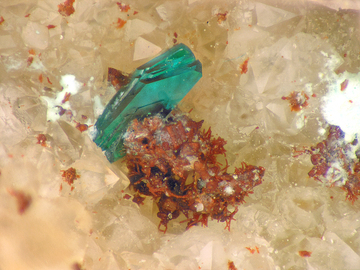 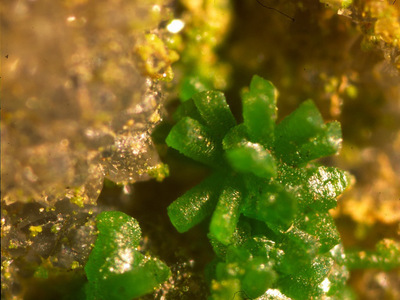 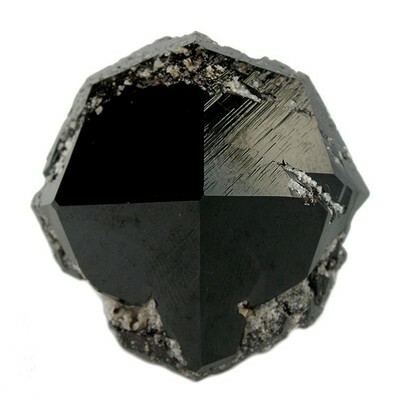 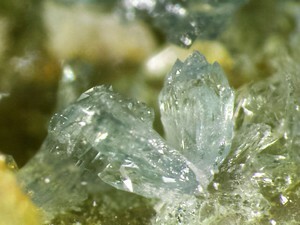 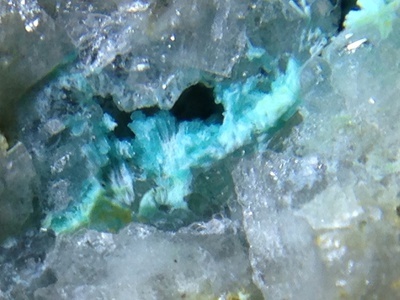 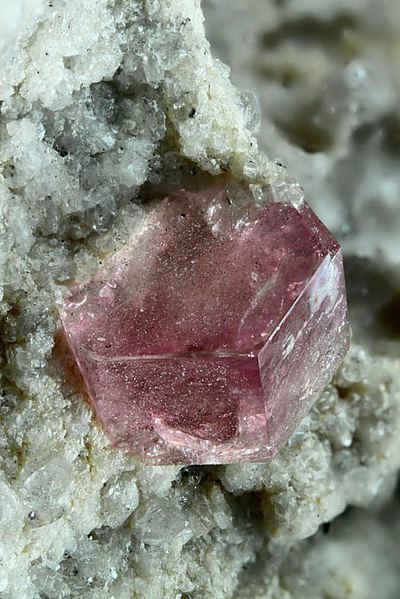 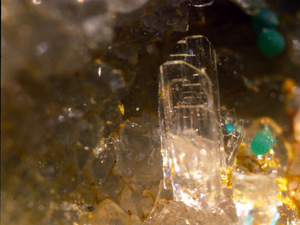 Reference: Mineralogical Record: 12(6): 381. 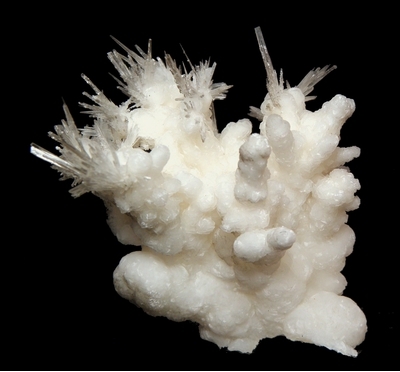 Reference: Missen, O.P., Kampf, A.R., Mills, S.J., Housley, R.M., Spratt, J., Welch, M.D., Coolbaugh, M.F., Marty, J., Chorazewicz, M., Ferraris, C. (2019): The crystal structures of the mixed-valence tellurium oxysalts tlapallite, (Ca,Pb)3CaCu6[Te4+3Te6+O12]2(Te4+O3)2(SO4)2·3H2O, and carlfriesite, CaTe4+2Te6+O8. 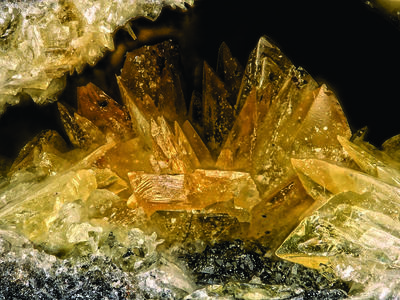 Mineralogical Magazine, 83, (in press). 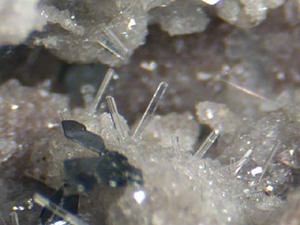 Habit: Triclinic crystal sprays and spheres. 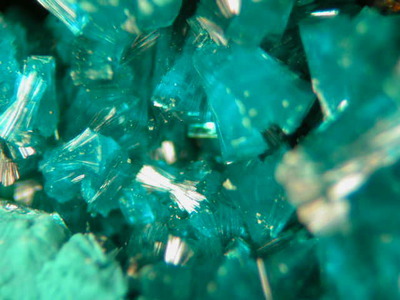 Colour: Ligth blue, blue green. 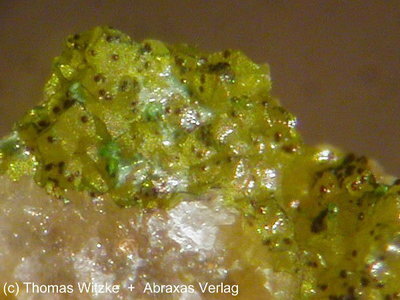 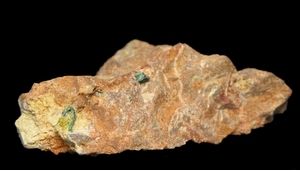 Reference: Outerbridge, W.F., et al (1960), Weeksite, a new uranium silicate from the Thomas Range, Juab County, Utah, Am.Min. 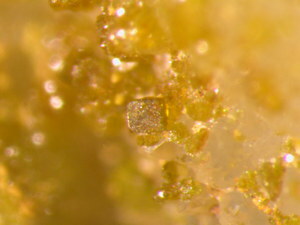 : 45: 39-52; Min.Rec. 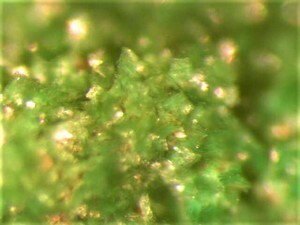 : 10: 271. 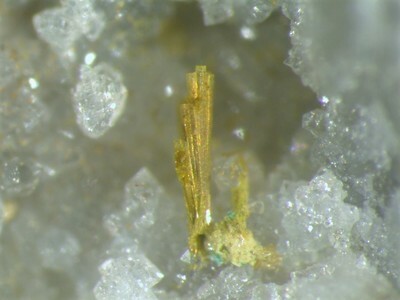 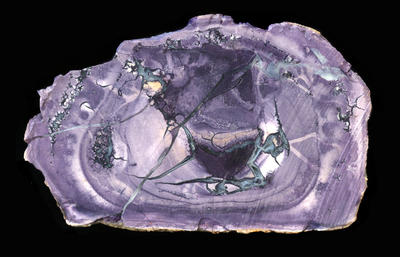 Reference: [MinRec 27:464]; Canadian Mineralogist; February 1996; v. 34; no. 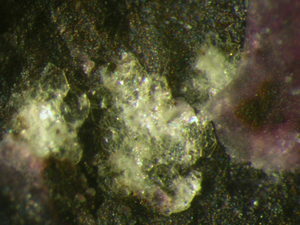 1; p. 49-54; Roberts, A. C., Ercit, T. S., & Cureton, F. F. (1994). 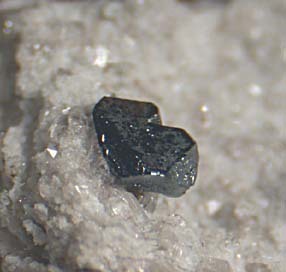 Mcalpineite, Cu3TeO6. 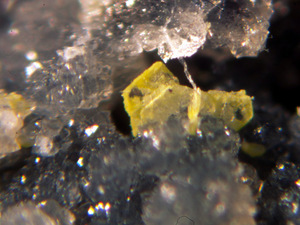 H20, from the McAlpine mine, Tuolumne County, California, and from the Centennial Eureka mine, Juab County, Utah I. Mineralogical Magazine, 58, 417-424.